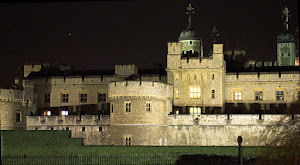 For seventeen years (1605-1622) the Martin Tower Suite in the Tower of London complex housed a most illustrious guest. He was a gentleman of high fashion, undisputed good looks, and a keen intellect, loyal to his friends and congenial to his hosts. We can hardly call his keepers jailers since they went to considerable lengths to assure his comfort and entertainment. There are 21 towers in the complex known as the Tower of London and vague records as to which prisoners were housed in which ones. However, the Ninth Earl of Northumberland Henry Percy's occupancy of the Martin Tower was well known. Apparently, his rooms occupied most if not all of it. He entertained often and lavishly and used it as the center of operations for his widespread business enterprises. Among his frequent guests were his son and heir, his pet fox and Sir Walter Raleigh. From his arrival at his lodgings on the 27th of November, 1605, the man his contemporaries called The Wizard Earl made himself very much at home. 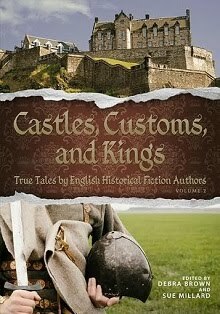 November 1605 was the month of the Gunpowder Treason, which brought Northumberland to the Tower. If rumors circulating in 1622 held a modicum of truth, when he was released, he was loathed to leave. At one point the Northumberland apartment housed much of his celebrated library. His was one of the largest collections of books in Britain. They covered a broad range of topics, many related to his strong interest in alchemy. His interest in natural philosophy, what we call science, earned him the moniker The Wizard Earl. 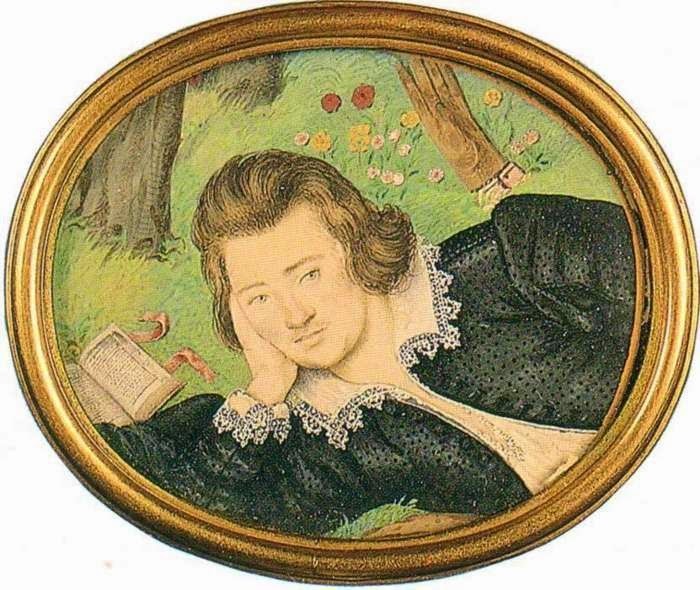 By the time of his arrest in 1605, Percy had adopted an urban lifestyle and made Sion House in Isleworth, a London suburb, his principal residence. The magnificent mansion was inherited through his wife Dorothy Devereux, daughter of the Earl of Essex. It remains in the family to this day. Earlier, as a young man living in Paris, he had been captured by a young man's traditional fancies--the riding, the hunt, the gaming, and the many mistresses, he confessed. But he professed to having returned to England with only one mistress claiming him, and that was Knowledge. 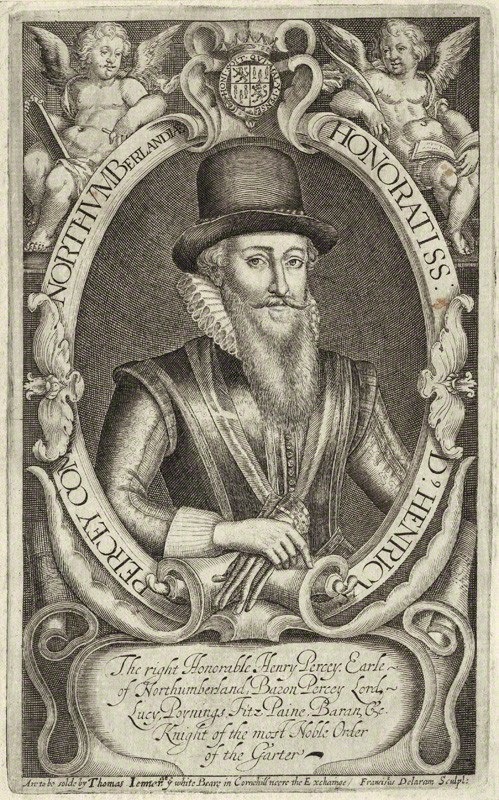 Northumberland was drawn into the Gunpowder Treason investigation due to his association with his second cousin Thomas Percy, indisputably one of the principals in the plot. 1605 was not the first time the earl's conduct regarding Cousin Tom got him into trouble. He had made him Constable of Alnwyck, the Percy ancestral home in Northumberland, with it many acres of adjoining farm land. Alnwyck was but one of many of his real estate holdings in Northumberland, an income producing enterprise for the Earl. No one is quite certain as to why Northumberland chose Thomas Percy as its overseer. In addition to making him his Constable, he gave Thomas Percy control over his accounts and the responsibility for collecting revenues and land rents. Accusations from the tenants of misappropriation of rents and other acts of overreaching abounded, but the earl did not investigate. Charges were actually brought against Thomas by his benefactor's tenants, and they, too, were overlooked. Tom Percy was also involved with Robert Devereux, Earl of Essex in a failed murder plot targeting the warden of the Scottish Middle Marches, none other than the firebrand reiver laird Robert Kerr of Cessford, who later became Baron Roxburghe, one of King James I's favorites. Sir Robert Kerr of Cessford was both anti-Catholic and anti-Marian, which put him at odds with Percy and Essex. In spite of his controversial conduct, in 1601 Thomas accompanied Northumberland on a military expedition to the Low Countries where he is said to have comported himself well. 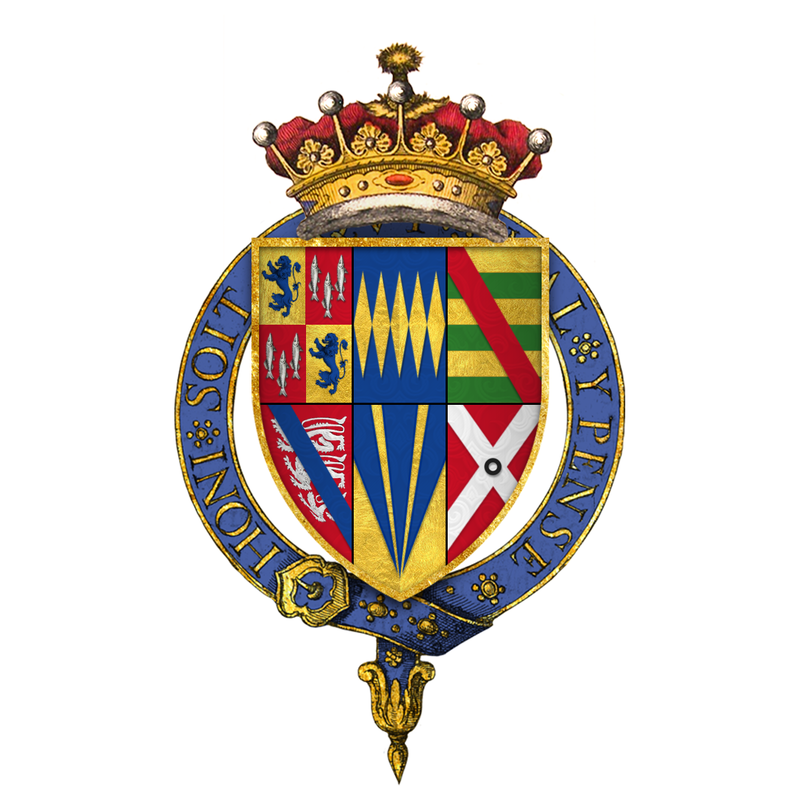 Northumberland received some criticism, possibly from Lord Robert Cecil, for having given Percy positions for which he should have been vetted without requiring him to attest to his religion or sign a Declaration of Faith. Thus, even before the Gunpowder Treason was uncovered, Northumberland's lenient treatment of his cousin had placed him at odds with Cecil, an avid anti-papist like his father Lord Burghley had been. Northumberland had been raised in his aunt's house as a Protestant but was believed by many to be sympathetic to the Catholic cause. There were also rumors that Cousin Thomas was more than a cousin, perhaps an illegitimate brother. Thomas Percy, like the other principals in the Gunpowder Treason, was a militant Papist to a degree his powerful cousin either did not admit or truly did not realize. For those unfamiliar with the scheme, the purpose behind the Gunpowder Plot was to replace King James I with a sovereign sympathetic to the Catholic cause but palatable enough to English Protestants to avoid civil war. That pointed to another Stuart. There is no direct evidence that Northumberland was personally involved in the conspiracy, but there is a strong suspicion the plotters had reserved a role for him in their pro-Catholic post-Jacobean government. 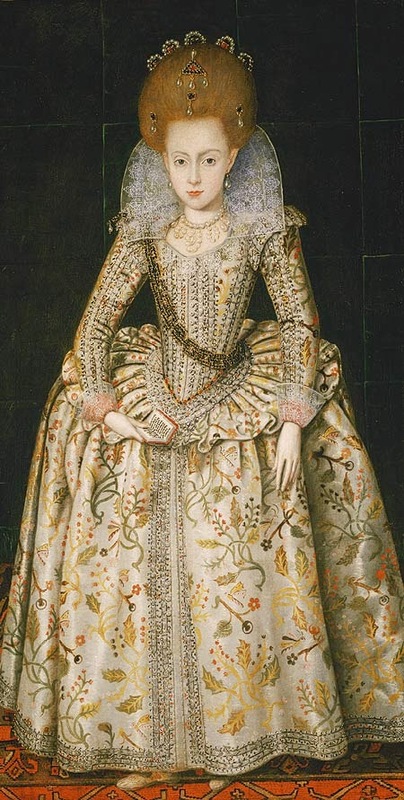 The Gunpowder plotters had settled on the king's daughter Elisabeth, who was nine as a replacement for her father. Her older brother Henry Frederick, Prince of Wales, was eleven, a student at Oxford, and already an outspoken Protestant with a priggish moral sense, critical of his father's religious tolerance and his mother's thinly veiled Catholicism. The conspirators expected him to be in the royal entourage at the opening of Parliament and would die along with his father. The nine-year-old princess lived in the country and was not expected to attend. Her younger brother Charles, Duke of York was a slow-developing child who failed to thrive at birth and at age five had only recently begun to walk and talk, albeit with a shuffle and a stutter, living in relative seclusion in the home of Robert Carey. He was sufficiently lackluster to earn no consideration from anyone, including the plotters. Elisabeth, being female, could be made a puppet of the Catholic faction and eventually married off to an appropriate Catholic European prince. While she was herself a Protestant, so young a female would be malleable and easily controlled by an appropriate Regent. Northumberland was the logical nominee. The question perplexing modern scholars is the same one that kept him in the Tower Suite instead of laying headless on the Tower Green. No one could prove he was in on it. Without revisiting the failure of the plot, what confined Northumberland to the Tower of London was not so much what happened on the infamous November 5, but what happened on the day before, November 4, 1605. On that day, Thomas Percy visited the earl at Sion House, ostensibly on business. He had all of those cumbersome accounts from Northumberlandshire to review. Whether he was really there to warn his kinsman from attending the opening of Parliament is open to conjecture. It is difficult to believe that he was spending the day before the big event reviewing ledgers with his kinsman, but there is no proof to the contrary. 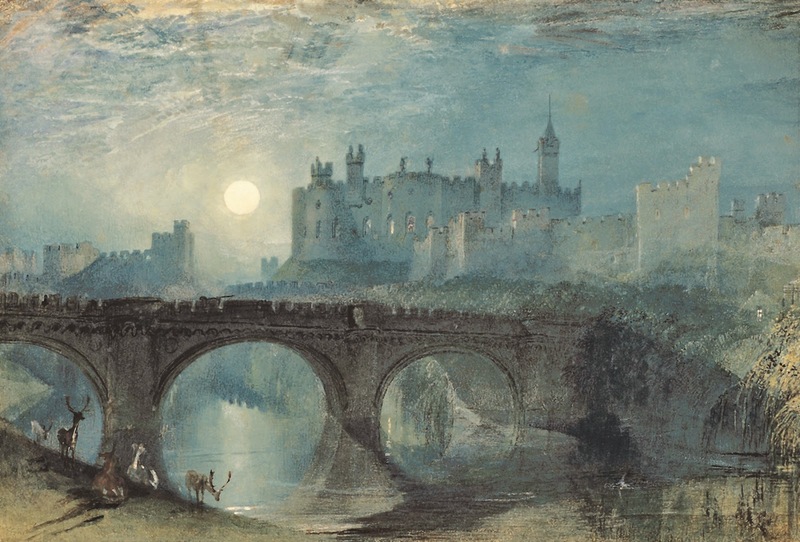 When Percy arrived, Northumberland was entertaining another guest, Thomas Hariot, a noted scholar, mathematician and astronomer who lived at Sion House and enjoyed Northumberland's patronage. The three gentlemen had a pleasant late lunch together and thereafter, Percy left. He next met with Catesby, the mastermind behind the plot, and thereafter left for the country to kidnap Princess Elisabeth. That evening Guy Fawkes, the plotter with the most military experience and knowledge of explosives, was discovered with the gunpowder in a search of the underpinnings of the Houses of Parliament, and the jig was up. When news reached the countryside, Tom Percy found himself running for his life, which did not last long. When the law caught up with Thomas Percy and a cluster of the others who escaped the city, he soon was dead of a sniper's shot and unavailable to confirm or deny his cousin's complicity. Astute Northumberland was admitting nothing. Fortunately for the earl, his friend Thomas Hariot confirmed Northumberland's averments concerning the subject matter discussed at lunch on November 4th. There had been no talk of explosions or plots to kill the king. It may well be Hariot's presence thwarted Thomas's plan to warn his cousin off. Whatever the truth may have been, by the end of the week Thomas Percy's tongue was silenced. Thus, what ultimately saved Northumberland from the headsman was a lack of evidence. No one could dispute his planned attendance at the opening of Parliament on the following day. The Earl remained out of custody until November 27th while he and others, including his personal secretary, his wife, and his friends, were interrogated. By December, Robert Cecil's focus had shifted to blaming the plot on Jesuits. When Northumberland was finally charged it was not with treason, but contempt. And there he languished. Richard Lomas in A Power In The Land (Tuckwell Press, 1999) and other sources on the fate of the Gunpowder plotters speaks of the Earl's suite in the Martin Tower as having multiple dining rooms, a drawing room, gardens with access to a tennis court, and enough space to accommodate twenty servants. And of course, there was the essential addition of a bowling alley. His scholarly friends including Thomas Hariot maintained apartments at Sion House so they could appropriately tutor Northumberland's children. Servants ran from Sion House to the Martin Tower with the latest imported delicacies. 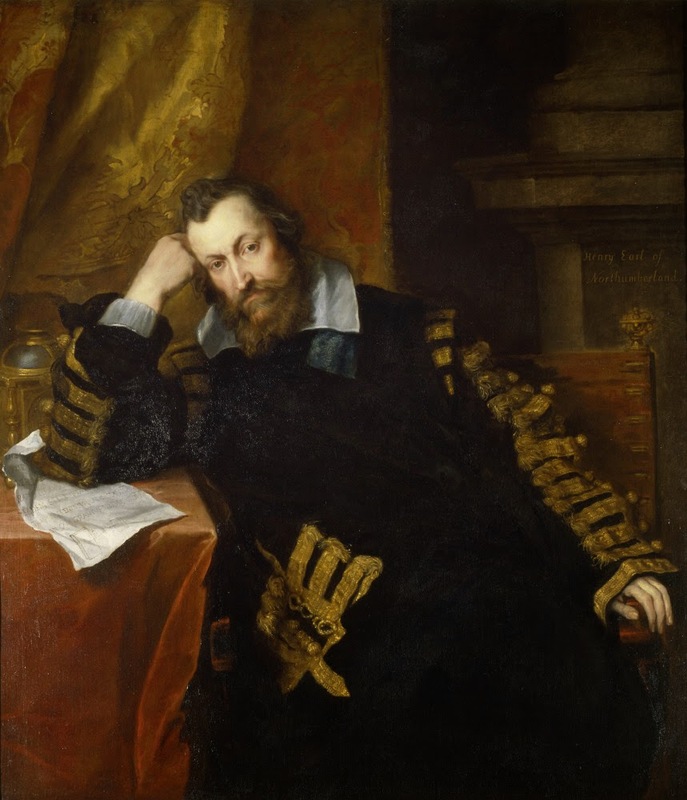 While the Earl of Northumberland perfected his games of Ten Pins and read his beloved books, poured fine wine and smoked tobacco with Walter Raleigh and later dined and gambled with his fellow prisoners Lord Robert Carr, Earl of Somerset and his murderous countess Lady Frances Howard, Jesuit priests were convicted on scant evidence often gleaned from torture and treated to grisly deaths. Cecil had his scapegoats, the plotters got their just deserts, and the Earl had spare time to devote to the pursuit of knowledge and the management of his vast estates, and when he needed a distraction, he played tennis. 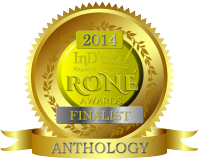 This article is an Editor's Choice and was originally published on August 19, 2014. 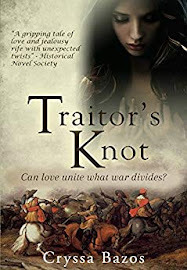 Linda Root is the author of The First Marie and the Queen of Scots, a tale of the life and love of Lady Marie Flemyng, The Last Knight and the Queen of Scots, the fictionalized adventures of the colorful Sir William Kirkcaldy of Grange to whom the queen surrendered at Carberry, and the books in The Legacy of the Queen of Scots Series, The Midwife's Secret: the Mystery of the Hidden Princess, The Other Daughter, and 1603: The Queen's Revenge. She recently has written a paranormal historical fantasy The Green Woman under the name J.D. Root. Root lives in the high desert community of Yucca Valley, above Palm Springs, with her husband Chris and her two mixed giant woolly Alaskan Malamutes. 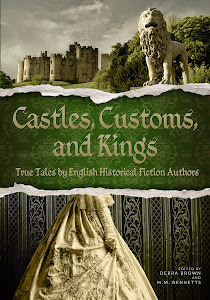 The Legacy of the Queen of Scots, and is presently working on the fourth book in the legacy series, In the Shadow of the Gallows. This is incredible ... I had heard lucky customers at the Tower kept their servants, but room for 20 and a tennis court. Wow. How do you access information about which prisoner lived where and when? I've often wondered about that. Thank you for such an eye-opening post. This is all so fascinating !